Welcome and the latest Bethungra news. On Monday the 12th of March Bethungra Rovers held their AGM at Gail and Andrews place. As a result the crew has now elected a new executive. Here are the new office bearers. 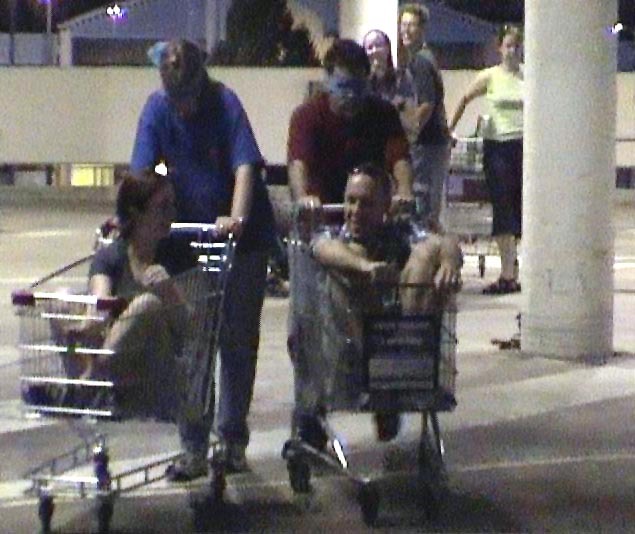 On Monday the 12th of February Bethungra Rovers tried Trolley racing at the Belconnen Mall Carpark. New member Chris organised the event and managed to have cleared level 2 of the carpark of all the cars leaving a clear run for the races. 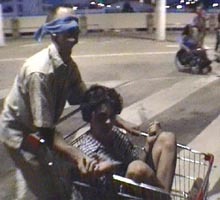 Various events were held including a Grand Prix, Blindfolded Slalom relay and a Downhill trolley time trial. Here are some pictures of the action. Click the pictures for a bigger version of each one. Bethungra have just completed a new program to take us well into the new year. The online program has replaced the previous one in the files area as an Word 97 document thanks to Lianne. 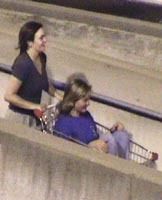 February 2001 through to May 2001 have been added to the web program. Monday 19th February - Botanic Gardens, Senses Trail, Telstra Tower night. This page was created by Edgar Crook, Samantha Bertoz, Robert Tucker, Melanie Brown and is now maintained by Neil Pickford.